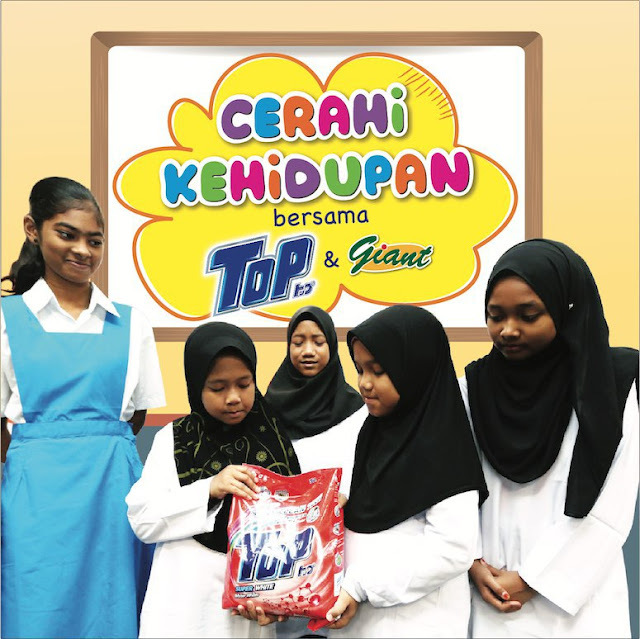 TOP, the No.1 brand in Peninsular Malaysia in Detergent category, is back for the third consecutive year with its ‘A Brighter Future with TOP’ or ‘Cerahi Kehidupan Bersama TOP’ fundraising campaign to provide back-to-school necessities for children from selected care organization, nationwide. Over the past two years close to 1,000 children from care organizations have received a full kit of school uniforms, as well as shoes and stationery. This year the brand is aiming to provide another 400 children with a full school kit, including shoes and socks, each so that they can start the year on a level playing field for a brighter future. The campaign aims to collect more than RM40,000 in funds that will be used to purchase school uniforms for children aged between 7 to 17 years old from 18 new homes across 10 states in Malaysia. TOP will be collaborating with leading retailer, Giant which has more than 150 stores across Malaysia to encourage more people to support the campaign to offer these children a brighter future. The campaign will see 30 sen from the sales of any TOP products from November 13 to December 13, 2017 contributed through all Giant outlets nationwide channeled to the ‘Cerahi Kehidupan Bersama TOP’ fund. The campaign has two simple objectives, namely to gift these children with new uniforms that they can take pride in, that can motivate them to achieve more by boosting their self-confidence and self-esteem; and to educate them on the importance of a hygienic lifestyle, including caring for their clothing so that they are clean and hygienically laundered. 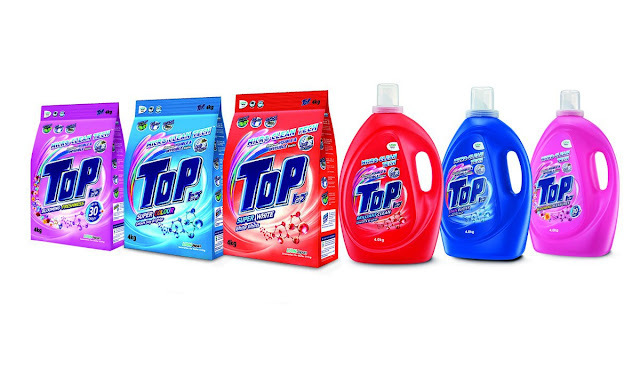 TOP, the No.1 brand in Peninsular Malaysia in Detergent category, developed by LION Corporation Japan is well-known for championing the concept of hygienically clean living to encourage cleaner laundry, more comfort and a better sense of well-being through its continuous innovative breakthrough Japan technology. Last year, the brand introduced its TOP Micro-Clean Tech with Anti-Sebum innovation that has given users in tropical climates such as Malaysia a practical solution to the problem of ground-in sweat and sebum. Sebum or body oil is naturally secreted by our body, especially in our hot humid weather. These invisible stains leave visible impact on our clothing. Sebum often gets trapped deep in the fabric core that ordinary detergent does not remove well causing white clothes to turn yellowish and even coloured clothes to look dull. The trapped sebum is also a nutrient source for bacteria, which can result in unpleasant odour even in clothes that have been washed. TOP Micro-Clean Tech with Anti-Sebum innovation reaches deep into the fibre core to pull out trapped sebum and sweat molecules effectively. Malaysian consumers have embraced TOP Micro-Clean Tech for its ability to remove both visible stains and invisible stains such as those caused by sebum and sweat, in keeping with the brand’s tagline of ‘It’s not clean until it’s micro clean!’. TOP Micro-Clean Tech users enjoy cleaner laundry for a happier and healthier lifestyle. The TOP Micro-Clean Tech with Anti-Sebum range includes all the functionality that TOP is renowned for including its anti-malodour, anti-mite dust, and antibacterial properties; while the Blooming range includes all these functionalities with FreshCare™ fragrance technology for up to 30 days freshness after washing. Southern Lion Sdn Bhd Senior Marketing Manager, Carmen Foo explained that the brand has seen the benefits that the contribution of new uniforms has had on children; and the acceptance and support of the campaign among consumers, business partners and TOP’s staff. “When we began the ‘A Brighter Future’ campaign we saw a need among these children, and set out to help them. Along the way, we found that our users and retail partners were as invested, willing and eager to participate, every year, because of our shared belief that it was making a difference. We have received many messages of thanks and appreciation from the children who received the uniforms. Our thanks to all consumers and retailers who have and are working with us to make this campaign possible,” Ms Foo said. “We are glad to provide a platform to more people to support the community they live in, while giving them the innovation and benefits of our products in return, always with the purpose of motivating more children to enjoy a brighter future. Our thanks to all the TOP users who have supported this campaign into its third year,” Ms Foo added. As a household essential for many Malaysians families, TOP shares the values of community sharing, the emphasis on education and caring for the community that shape Malaysia. “Head to your nearest Giant, get yourself any of our TOP products including our TOP Lite and TOP Day Fresh softeners from November 13 to December 13, 2017, and know that you are giving a child the opportunity to fit in better with their peers, and to engage better at school, through the ‘A Brighter Future with TOP’ campaign,” she said in closing. Children from the following charity homes will be receiving a complete school kit each, including shoes and socks. TOP laundry solutions are available nationwide with a host of variants in powder and liquid detergents as well as softeners, for top-loading and front-loading washing machines, and for handwash options. Among the TOP variants are liquid Stain Buster, Brilliant Clean, Blooming Pleasures, Odour Buster, Colour Protect for top-loading machines, with the Smart Clean variant for front-loading machines. The powder detergent variants include Super White, Super Colour, Super Hygienic and Blooming Freshness for top-loading machines, and Super Low Suds for front-loading machines. TOP Day Fresh softeners are formulated for both top-loading and front-loading machines, and come in variants that include Romantic Pink, Sensual Purple and Serene Blue. TOPLite is for delicate clothes. To find out more please about the ‘A Brighter Future with TOP’ campaign please visit http://www.southernlion.com.my or call customer care line at 1800-88-0133.